Oxford University Press, USA, 9780199349784, 216pp. Traditionally literary modernism has been seen as a movement marked by transcendent epiphanies, episodes of estrangement, and a privileging of the extraordinary. Yet modernist writings often take great pains to describe the material, seemingly insignificant details of daily life. 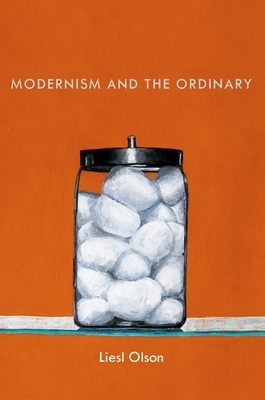 Modernism and the Ordinary upends our perceived notions of the period's literature as it recognizes just how pivotal commonplace activities are to modernist aesthetics. Through pointed readings of prose and poetry from both the U. S. and abroad, Liesl Olson highlights the variety of ways modernist writers represented the quotidian details of modern life, even during times of political crisis and war. Run of the mill experiences like walking to work, eating a sandwich, or mending a dress were often resistant to shock, and these daily actions presented a counter-force to the aesthetic of heightened affect with which modernism is often associated. In a series of persuasively argued chapters, we see how the ordinary operates in its many modernist manifestations: the minutiae of list-making and the decidedly unheroic qualities of Bloom in Joyce's Ulysses; Virginia Woolf's rendering of the ordinary as an affective experience in Mrs. Dalloway; the retreat into daily routine as a refuge from the tumult of World War II in Gertrude Stein's Mrs. Reynolds; Wallace Steven's conception of the commonplace as rooted in pragmatist philosophy; and how Beckett and Proust are simultaneously compelled and repelled by the banalities of modern life. These works are read alongside the ideas of philosophers such as William James, Henri Bergson, and Henri Lefebvre to illustrate how these artists responded to the difficulty of representing the mundane without making it transcendent. A trenchant, richly textured monograph, Modernism and the Ordinary reveals how the non-transformative power of everyday experiences-what Virginia Woolf called the "cotton wool of daily life"-exerts a profound influence on the epoch-defining art of some of the twentieth century's most celebrated writers. Liesl Olson teaches at The University of Chicago where she is a Harper-Schmidt Fellow and Assistant Professor in the Humanities Division.